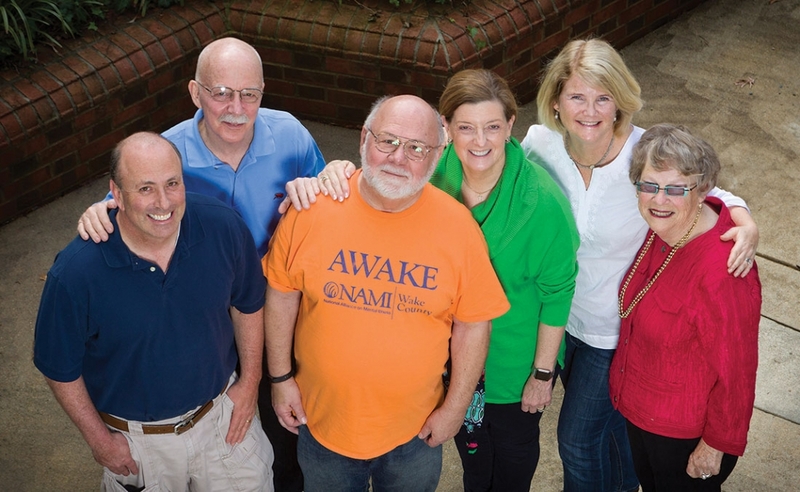 To keep its programs going, NAMI Wake County relies on hundreds of volunteers including, from left, Thomas Gehrmann, Tom Rooker, Gordon Gogola, Mary Scoot Honbarrier, Mimi Crews and Jeanne Harris. Ben Michael knows how difficult it can be to reach out and talk about mental illness. “It can feel like the phone weighs a million pounds,” he said. Michael is a volunteer at the Wake County affiliate of the National Alliance on Mental Illness (NAMI). His mental health journey brought him to an education class at NAMI Wake in 2014, and by 2016 he was a class mentor to other individuals hoping to learn more about mental illness. Nationally, NAMI aims to improve the lives of Americans suffering from mental illness. Locally, NAMI Wake’s mission is more specific: support, education and advocacy. Volunteers work to create safe places for individuals and families to speak about their experiences with mental illness. 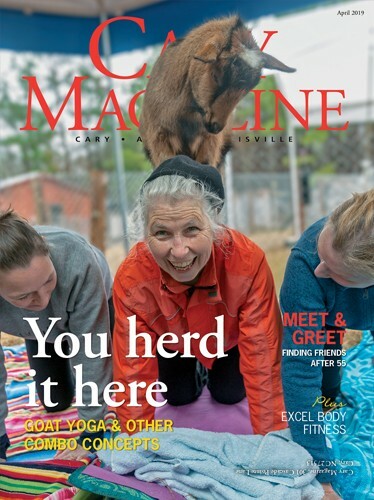 The nonprofit offers free classes to help people learn about mental illnesses, why they occur and how to navigate life with them. 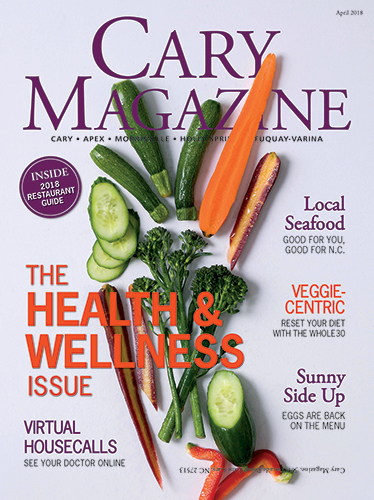 Classes like Family-to-Family, Peer-to-Peer and NAMI Basics target various populations and provide concrete coping skills. NAMI Wake’s work is supported by about 200 volunteers, including Chase. Most of the volunteers have either experienced mental illness themselves or have seen family members cope with its challenges. When a member of Chase’s family was diagnosed with a mental illness in 2011, she wasn’t sure where to turn until she found NAMI. This annual event raises awareness about mental illness, helps erase stigma and raises needed funds for classes and outreach efforts. The walk begins at 10:30 a.m. Saturday, April 14, at North Hills Midtown Park. Registration begins at 9 a.m. Sign up online at nami-wake.org. Gordon Gogola started taking education classes at NAMI to better understand a family member’s battle with a brain disorder. He was approached about becoming a class mentor, but initially declined. That was 23 years ago, and he has been volunteering with NAMI ever since — first in Texas and later in Wake County where he moved 18 years ago. He coordinates NAMI Wake’s support group meetings, and facilitates some meetings himself. NAMI Wake’s sights are set on sustainability. Much of its fundraising efforts aim to put the affiliate in a position where it can hire dedicated staff. North Carolina is the only state in the country where none of the NAMI affiliates employ paid staff. Chase wants to change that. NAMI Wake conducts several annual fundraising events. Celebration of Courage, occurring each May, brings attention to the courage one needs to embrace their own experience with mental illness. During last year’s event, the nonprofit displayed 1,000 artificial irises on Rex Hospital’s main Raleigh campus, celebrating the art of Vincent van Gogh and reminding viewers of his struggle with mental illness. 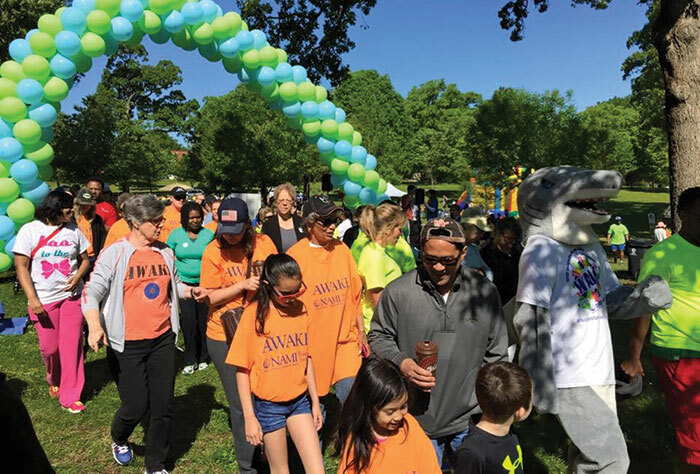 On April 14, NAMI Wake will host NAMIWalks at North Hills Midtown Park. The goal of that event is to raise awareness of mental illness in Wake County, erase stigma and boost advocacy efforts. Funds raised will be used to support the classes and programs NAMI Wake provides.